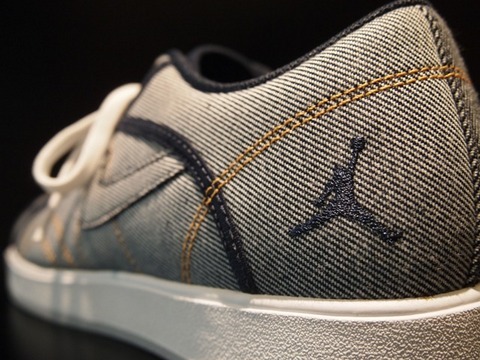 Emerging as one of the Jordan Brand's most popular lifestyle models in recent time, the Sky High Retro TXT Low is on it's way in a premium denim build. Emerging as one of the Jordan Brand's most popular lifestyle models in recent time, the Sky High Retro TXT Low is on it's way in a premium denim build. And although they might remind many of you of the recently released denim Air Force 1 Low, the Sky High Retro TXT Low creates it's own look with the use of a lighter denim throughout the upper. 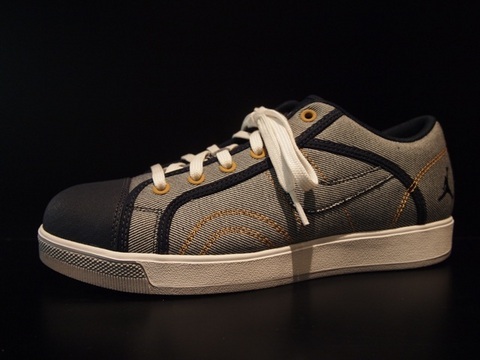 A darker denim works the toe, along with the piping throughout the rest of the upper. Bronze accents top off the look, while a white and grey outsole sits below. The denim edition of the Jordan Sky High Retro TXT Low is expected to release sometime this summer at select Jordan Brand retailers.